A trucking accident attorney must show the employee had the employer’s express or implied permission to use the vehicle at issue. A lot of Texas jurisdictions take the approach that it is presumed that a vehicle owned by an employer and driven by en employee was done in the furtherance of the employer’s business and the debate stops. 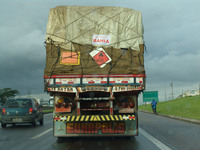 Baseluos Law Firm will often investigate whether the route taken by the employee is related to the business destination. This is a sure fire mark of employer liability even if the employee did not take the same exact route demanded by the employer. If an employee is negligent and causes injury by using a motor vehicle for personal use before or after business hours, it becomes tougher to hold the employer negligent. However, if the employee is furthering the business of his boss, liability can still be established even if the accident occurred outside work hours. Going to and from employment is normally not considered within the scope of employment. However, exceptions to this rule can occur if the employer is paying the worker’s mileage or transportation expenses. The same concept applies to the employee’s transit to and from restaurants . Employers are generally not responsible for the intentional actions of employees such as an assault on another driver. If the employee driver is intoxicated, there may be a basis for imposing liability on the employer. 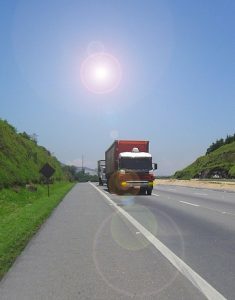 Investigating the exact duties of the driver at fault, their hours of employment, the employer’s awareness of the driver’s actions and use of the vehicle, and any financial reimbursement related to the vehicleAs you can see, much goes into successful prosecution of commercial vehicle accidents. Establishing employer liability for an employee’s negligent driving and thereby invoking the higher coverage of a commercial policy is critical especially in the face of devastating injuries from trucking accidents.